The direct talks between the US government and the ‘Taliban’ leadership have up till now, completely sidelined two most important stakeholders – the Afghan people, and the democratically elected Government of Afghanistan. This calls in question the legitimacy of any deal that may have emerged, since this would be perceived as merely face-saving for the US, and an attempt to appease the Taliban’s aspirations for recognition as a power. While the American delegation led by Ambassador Zalmay Khalilzad optimistically announces progress in the peace talks, Taliban continue their violent attacks on Afghan forces and civilians in the capital, and in various provinces. In addition to the large scale attack on Kunduz city that left multiple casualties both civilian and armed forces, recent attacks were also reported in Baghlan, Takhar and Badakhshan, as well as Faryab, Sar-e-Pul and Balkh, and in Helmand in the South. The primary aim of this violence by Taliban is to establish the spread of their power, and it has created an environment of mistrust and fear. How can people living in constant fear of violent attacks, loss of life and livelihood, perceive them as anything but aggressors? Peace negotiations require an atmosphere of trust-building and healing, where Afghans on both sides of the conflict can humanize what was hitherto perceived as ‘the enemy’, and acknowledge the ‘other’s’ claim to an Afghan identity. This is only possible when both sides agree to listen to the other, and take into account the hopes and needs of ordinary Afghans. The average Afghan yearns for stable and lasting peace and security in which, they can live in their own homeland with dignity, earn an honest livelihood, and ensure an education and future for their children in an environment of justice and accountability. A ceasefire is in place with immediate effect across the country until the peace negotiations reach a conclusion. The elected government, which represents the people of Afghanistan be accorded its legitimate place at the peace-negotiation table. Afghan women are represented in the peace negotiations. The Afghan Women’s Network mobilized various women’s groups and individual women across the country, through a nation-wide social media campaign titled, “Our Voice for Our Future.” Women from all walks of life are using this platform to connect with each other, share concerns and news, and to raise a unified voice that will bring their concerns to the ears of the government leadership, as well as to those currently involved in peace negotiations. They are using their connections and networks in other countries to garner support for their cause, and build international pressure on the peace negotiators, to ensure that the relevance and legitimacy of the struggle of the Afghan women is preserved in any peace agreement that is achieved. We, the women of Afghanistan, urge friends and supporters of Afghan women’s civic rights to endorse our conditions and announce their support in this critical time in our history. 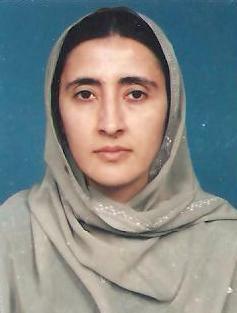 Zulaikha Rafiq is an Indian-born Afghan citizen, with over three decades of work as a civil society and women’s rights activist. She currently works as an independent professional consultant, and is a champion of education as the way to peace and progress in Afghanistan. She is the Coordinator for Afghanistan of the South Asia Women’s Network (SWAN), founded in 2009 by Professor Veena Sikri.